The one thing that can complete an easy spring-to-fall transition look, is a classic camo jacket! 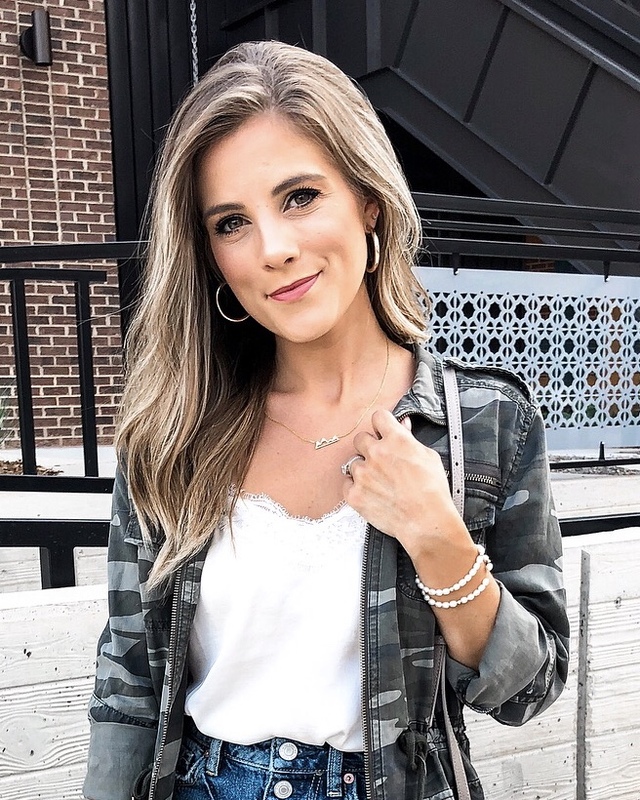 For the past 3 (or 4) years, a camo jacket has been my all around go-to when it comes to pulling together an easy outfit for the weekend. And nothing beats a classic look of a simple white cami, denim skirt (or jeans), booties, and topping it off with a stylish camo jacket! Seriously ya'll, you'll be seeing more camo print this year for sure *wink*! My jacket above is from last year, but I was able to find similar ones here and here. Also, can we talk about my denim mini skirt for a bit?! I've worn it so much this summer and I highly recommend for anyone who's looking for a skirt that can be worn now and later on for fall!